you don't have to eat at your desk at work anymore, especially if it looks like this. I get it! Your work day is PACKED. From meetings to phone calls to reports to actually doing the rest of your job, you feel like you don’t have a moment to stop and breathe. You’re constantly go go going and when the end of the day rolls around, you realize you haven’t taken a lunch, let alone a break the entire day. You just gulped down some trail mix, chowed down on a protein bar or inhaled something from the vending machine or break room and kept it moving. When 3 o'clock rolls around, you're struggling to find the energy to get through the rest of your day, and have to mainline a cup of coffee or a sugary snack to keep going. You feel caught in a chaotic hamster wheel that at the end of the day, is making you feel run down, stressed out and not like yourself. Your body could be letting you know enough’s enough too; maybe your stomach’s gotten extra sensitive, you’re putting on more weight, or your skin is breaking out or flaring up. You want to feel more energized and less scattered, but have no idea how and where to begin to make that happen. taking back your lunch with a Not at My Desk Lunch. 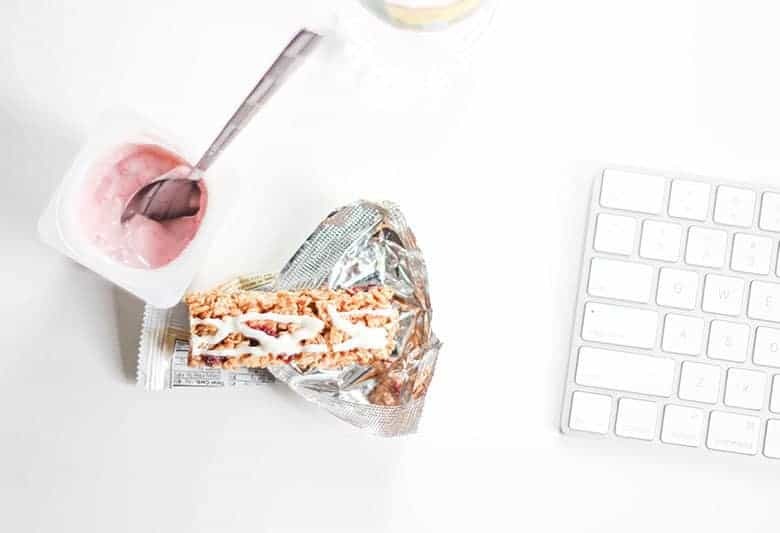 Not at my Desk Lunch is a movement to take your lunch break away from your desk, give yourself space to recharge and eat food that makes you feel good. By taking that time to recharge and nourish your body, you can be more focused, calm and productive at your job, say bye bye to the afternoon slump and leave on time at the end of the day! The Not at my Desk Lunch ebook breaks down 4 simple steps you can take to get away from your desk and make your lunch really count, as well as the science to why these steps are important. 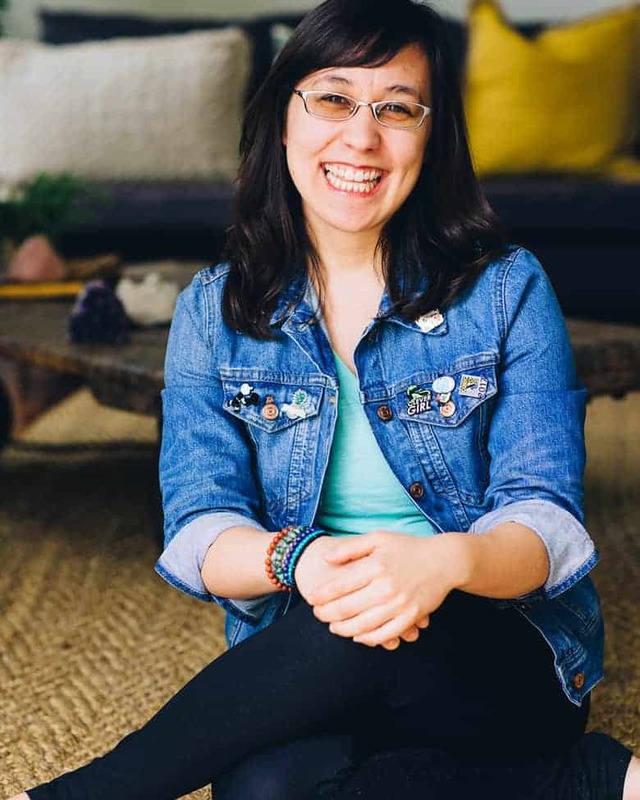 I’m Aimée Suen, a Nutritional Therapy Practitioner, food blogger at Small Eats, and graphic designer. I’ve been in that crazy hectic job, running on adrenaline and skipping lunches because I felt like I had too many things to do. After doing that for two plus years, my body told me enough was enough. My anxiety was through the roof, I was exhausted at the end of each work day and couldn’t focus when I was at home. My skin started breaking out in eczema from the constant stress in my life. While this was going on, I was also studying to become a Nutritional Therapy Practitioner (NTP). When I learned about how much stress affects your health and digestion and how much I was not digesting well, I knew I had to do something. Eating a Not at My Desk Lunch was the start of series of changes that helped me drastically reduce my eczema, lower my stress, and heal my gut. I know I’m not alone in feeling run down, overwhelmed, and having stress-related health issues. That’s why I started sharing my Not at My Desk Lunches and created the Not at my Desk Lunch ebook, so you can have a simple and tasty way to eat well and get the nourishment from your food, as well as give yourself a break in your busy day. Steps and science isn’t enough for a Not at My Desk Lunch; you gotta eat and eat well, right? If you’re overwhelmed or stumped on what to eat, I’ve got you. 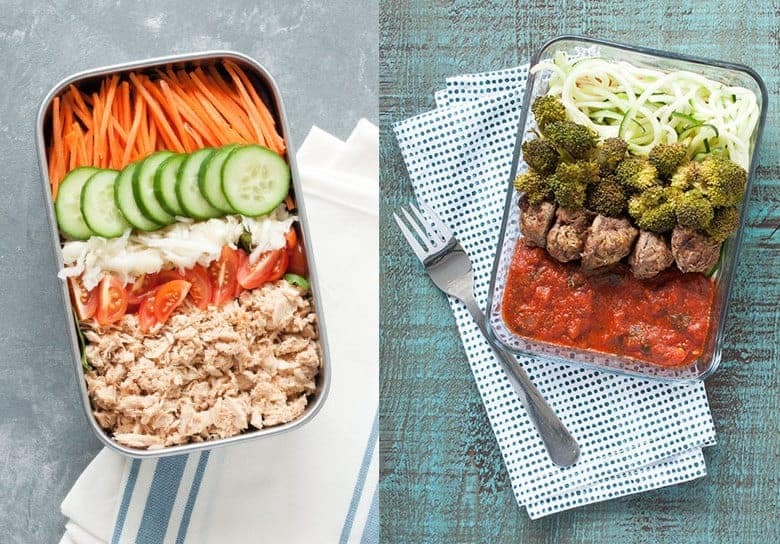 In the Not at My Desk Lunch ebook, I’ve created 15 nutrient-dense, whole foods recipes you can make to enjoy for lunch (and dinner if you want!) that taste good, make you feel full, and will help you fight off the afternoon energy slump. 15 recipes means you can enjoy an ENTIRE MONTH of work week lunches from this book. 10 of these recipes that are exclusive to the Not at My Desk Lunch book and they will never be published on my blog. screen and especially getting some sun in the middle of the day. sun and live plants. I ate my lunch without looking at my phone. salad over a dozen emails. Any updates to the Not at My Desk Lunch ebook, at no additional cost to you! If you’re ready to take back your lunch, health and sanity, the Not at My Desk Lunch is here to help you make that happen. You don’t have to feel this drained, depleted and frantic anymore. By eating a nourishing, lower stress lunch, you can start to take back your day and energy. Big change starts with small steps and putting you first. By taking a Not at My Desk Lunch, you’re making a small, powerful, and nourishing commitment to yourself. That you and your health come first. It’s doable and also pretty damn delicious.